Daniel Holzman, the chef and co-owner of The Meatball Shop in New York City, spent six years cooking at some of San Francisco's best restaurants. If you were his best friend and wanted his advice on a baller-style Bay Area food tour, it would look like this. 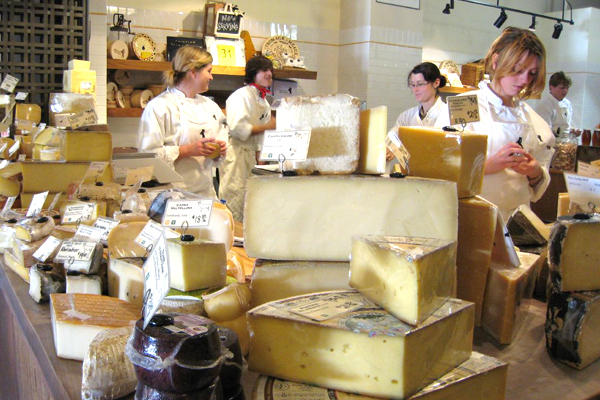 SAN FRANCISCO – Start your Bay Area food tour with two nights in San Francisco. 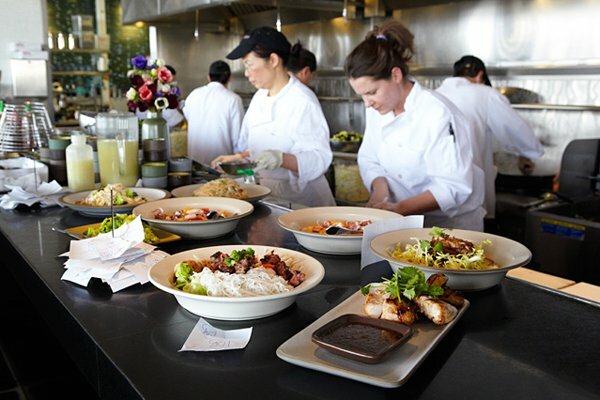 Go to The Slanted Door and Delfina for the two dinners and have lunch at Chez Pannisse in Berkeley. Or else dinner at Chez Panisse and lunch at the Slanted Door. I like to stay at Campton Place Hotel. It's expensive, but the beds are really comfy and it's right in the center of Union Square. 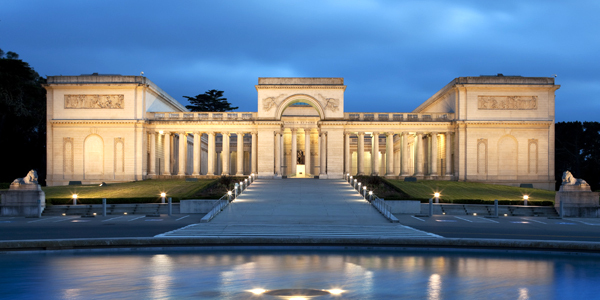 Legion of Honor is a great museum in a beautiful setting. After seeing the exhibitions, follow one of the many hiking trails from the museum on an easy, two-mile hike down to the beach under the Golden Gate Bridge. (This was all US Army land that has recently been returned to the city.) The other museum I love is De Young in Golden Gate Park. The museum has great stuff, and the building itself is also worth checking out. Don't miss the observation deck. For a fun touristy attraction, do the night tour at Alcatraz Island. It's actually fun. If you are in North Beach (though I would avoid it; it's very touristy) check out Museum Mechanique. It's cool if you're in the area, but it's not worth a special trip. Once out of the city, head north over the Golden Gate Bridge and spend the first night and a day exploring Bolinas, a very cool, peaceful, old hippie town. The locals take down the signs from the highway so tourists can't find it. They also put up a "shark danger" sign at the beach to scare tourists away from their surfing area: Feel free to ignore it. Check into the Grand Hotel (15 Brighton Ave. Bolinas; +1-415-868-1757) — which is not very grand; there are only two rooms. Have a drink at the bar in town, Smiley's Schooner Saloon, the oldest continually operating bar in the United States. It never closed during Prohibition. Continue up the coast to Point Reyes Station and check into Point Reyes Station Inn. This area is spectacularly gorgeous — the most beautiful place I've ever been. 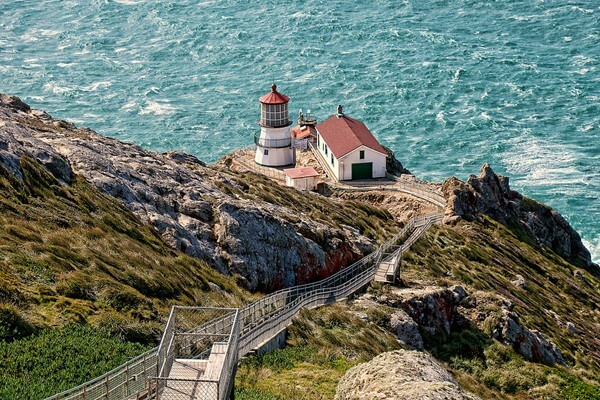 Drive out to Point Reyes Lighthouse, the westernmost point of the United States. The lighthouse is old, extremely windy, and extremely beautiful. (Don't underestimate the steps.) For a good lunch in the area, hit Tomales Bay Foods (80 4th St., Point Reyes Station; +1-415-663-9335). The next day, keep going up the coast, definitely stopping for oysters in Marshall. 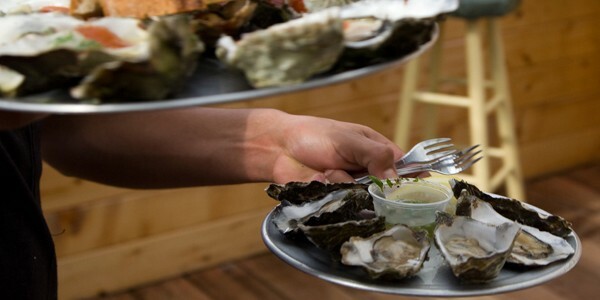 The Hog Island Oyster Company offers reservations well in advance and sells out. It's shuck-your-own. If you can't get a reservation or aren't up for shucking, stop up the street at The Marshall Store, have a seat on the side of the highway, and eat oysters harvested from the bay you are looking out on. In fact, even if you have already eaten, you should stop and have an oyster here. Spend the night at the 100-year-old Jenner Inn in Jenner by the Sea. You'll get a cottage, reasonable rates, tons of character, and a great romantic spot. Head back down inland through Sonoma wine country. (Napa is a tourist trap.) Stop at a winery for a look around and a glass of wine. I especially like Freeman Winery in Sebastopol, Adobe Road Winery in Petaluma, Brogan Cellars in Healdsburg, and Cobb Wines in Occidental. Have lunch in Healdsburg at Cyrus. It's very fancy. I worked with the chef Doug Keane at Jardiniere a million years ago. Stop in Petaluma and Santa Rosa for a visit. In Petaluma, tour Cowgirl Creamery. They make great cheese. 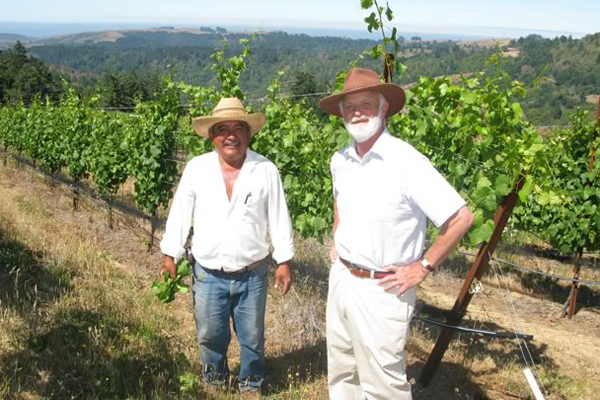 In Sonoma, call ahead and book a visit at The Rare Wine Co. to browse their inventory. It's incredibly cool to see all the wine in boxes and to shop for a special bottle to share later at your hotel. (The Farmhouse Inn in Forestville is pretty special.) For dinner, go to The Girl & The Fig or Cafe La Haye. See the locations in this story. (GoogleMaps). Daniel is the chef and co-owner of The Meatball Shop in NYC. You can follow him on Twitter at @chefholzman. He travels for the airline miles and free mini sewing kits.